Listed below are common questions and answers about ModernManBags.com. Q: How can I contact Modern Man Bags? A: Visa, Mastercard, Discover, and Paypal. Q: Do you sell gift certificates? A: Yes. Many women buy their reluctant men a stylish "man bag" using gift certificates. This allows him to pick the style he likes and return the bag if he changes his mind. Gift certificates are available here in our online store. Q: What does ModernManBags.com charge for shipping an order? A: $6.95. ModernManBags offers USPS Priority Mail shipping on all orders, regardless of size or value. This includes orders shipped to a PO Box or APO/FPO. You can also select 1-2 Day USPS Express Mail Shipping for an additional fee. Q: How long will it be before I receive my order? A: For items in stock allow up to 48 hours for processing. Once processed, you will recieve a tracking number by email and should receive your order within 2-3 business days via USPS Priority Mail. Please allow additional time for shipments to APO/FPO addresses. A: Yes. ModernManBags ships to Canada and other countries listed below. An extra handling fee is required based on the shipping destination. Non-US addresses are shipped via International Priority Mail (USPS). Most packages take 6-10 business days to arrive assuming there is no delays with Customs. A tracking number is emailed to you so you can check status. International shipments are insured in case of loss. Example: 2 items ordered from Russia: 6.95 + 6.95 + 25.00 = $38.90 S/H total. * Delivery to most major cities. Additional fees may apply if shipping to rural areas and towns. Sorry folks, I hate these fees too! 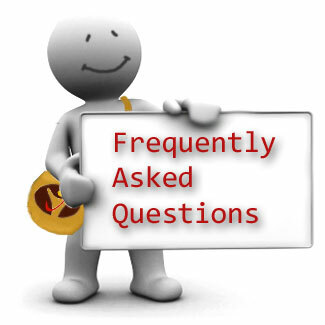 Q: Do you ship to PO boxes or Military APO/FPO addresses? A: Yes. Shipments can be sent to both PO Boxes and Military APO/FPO addresses. Please allow additional time for orders shipped to these addresses. Q: Can I expedite my shipping? A: Yes. You can select USPS Express Shipping for any item. *Expedited orders must be requested via email or in checkout notes section and placed before 2:00PM PST in order to ship out the same day they are placed. Sorry, expedited shipping is not available for shipments to Hawaii, Alaska, U.S. Territories, PO Boxes, or APO/FPO addresses. Please allow additional time for shipments to APO/FPO addresses. Q: How can I contact ModernManBags.com for additional assistance? A: If you need help with your order please feel free to email us (preferred), or call us at 1-858-381-BAGS (2247). Q: Are the shipping time-frames listed on your website guaranteed? A: Yes. ModernManBags.com strives to fulfill all of the orders that we process within the quoted time-frames. ModernManBags gladly stands behind the quoted delivery time-frames, associated with each of the shipping types that we offer. *ModernManBags.com accepts no responsibility for packages that do not arrive within a stated time-frame, due to extreme weather conditions or uncontrollable circumstances. Once we receive your item our staff will inspect it within 72 hours. If in acceptable condition, we will refund your money to your original method of payment within 7 days (i.e., Credit Card, PayPal, Google Checkout). We will notify you by email once the refund has been processed on our end. Please note that depending on your financial institution, it may take an additional 2-10 business days after your credit is applied for it to be reflected on your account statement. If you need additional help with your order please email us with the form or at support @ modernmanbags.com.